So blown away by the creatives in South Africa. We seriously have a lot going for us craft wise! 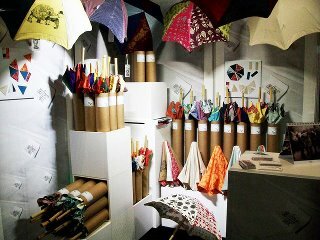 Have a look at some of my favourites from design indaba 2012!!! http://www.cargocollective.com/claudettemaskell this highly talented illustrator will hopefully be collaborating with me soon. So if you are looking for something amazingly beautiful and different one of the only jewellery stalls that seriously stood out to me was Anomali. Founded by two very cute tail coated girls, Marlette and Moniek. Seriously do yourself a favour and go to http://www.anomali.co.za a treat for the eyes! Another lady that really blew me away with her great artist charm was Calavera Loco hand embroidered skulls. http://www.calavera.co.za her sugar skulls are insane, super detailed, layered skulls. Afrosol stall at design indaba 2012.